With a big nod to those classic Christmases of the best period for pop music our 3 piece band ‘Back to the 80’s’ with electro-light show are rapidly becoming one of the most popular Tribute Bands on the circuit with a set list as wide as it is diverse. Their electric funk sound fronted by distinctive female vocals gives them a massive advantage over other similar bands. Whatever part of 80’s music you like this band has it all. 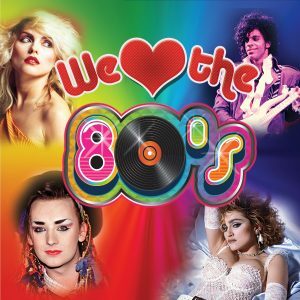 We Love the 80’s and so will you, take a look at some of their song list below. !